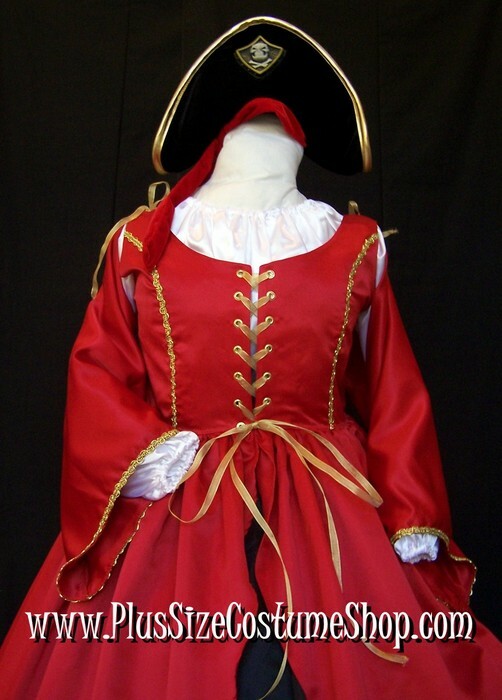 Wig, crown, pirate hat and necklace are NOT included! 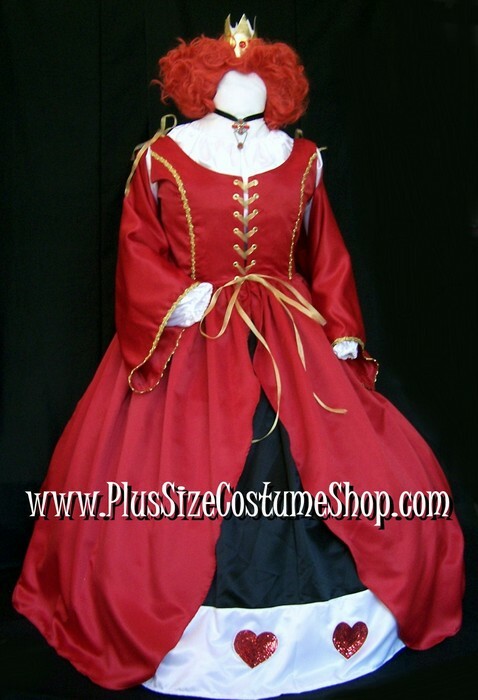 The overdress is made of red bridal satin and the bodice part is fully lined and boned at the lacings. Matching tie-on over-sleeves are included. The overdress and over-sleeves are embellished with gold trim. The gown laces up through professional-strength grommets. The peasant shirt is made of white satin and has elastic in the sleeves and neckline for a comfortable fit. The length of the shirt is approximately 32” or hip-length. *IMPORTANT: Due to the fact that this skirt has an embellishment at the bottom, it is VERY IMPORTANT that you provide a proper length measurement. If you do not provide the correct length measurement, you will most likely need to rehem the skirt and lose the border.